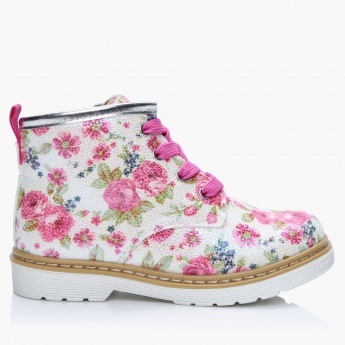 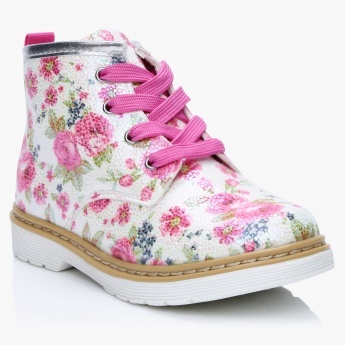 Make your little princess look gorgeous and lend her feet comfort wearing this pair of boots. 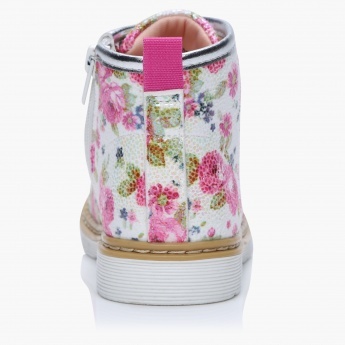 It sports a floral print and textured finish. 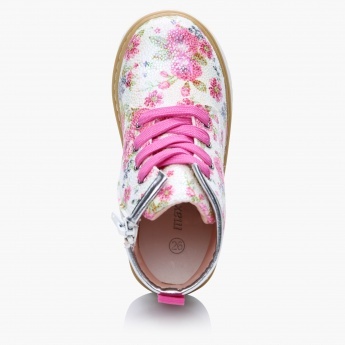 The lace-up pattern will give a perfect fit.